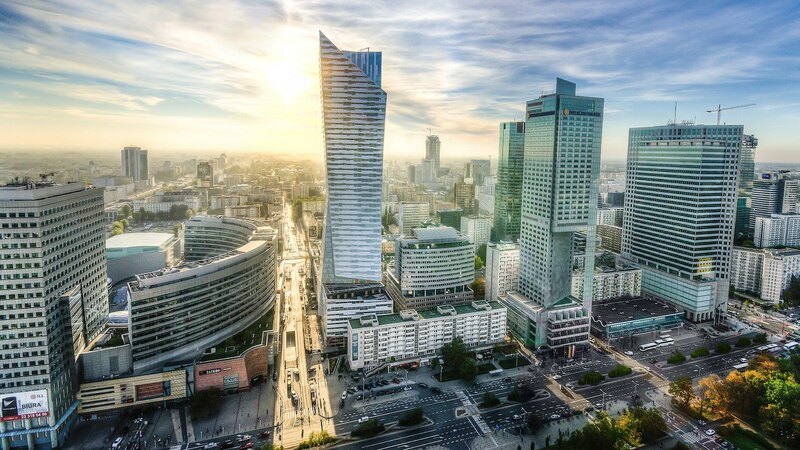 The Coworking Europe Conference will take place from 13 to 15 November 2019 in Warsaw (read here why you should go there). This is fantastic news for two reasons: 1. Finally, the conference will come to Eastern Europe, which is appropriate due to the development of the coworking scene in these countries, and 2. the Polish coworking market will get more attention and hopefully a boost. In the last four years, Kati and I have visited most of the ten biggest Polish cities. We like the people; they are more open and liberal than the national government of the country. Of course, we visited a lot of coworking spaces and coffee shops. We have never been to Warsaw before and have no idea why. Therefore I am happy that we have no excuse anymore and are finally going to Warsaw. The Polish coworking market isn’t huge yet, but you can find coworking spaces in most cities. Most of them are in Warsaw, but also in Wrocław, Łódź, Poznań, Kraków, Lublin, and Gdańsk, there are already several coworking spaces. An almost two-year-old overview of some coworking spaces in Warsaw can be found on EU-Startups.com (Note: I can’t judge the quality of the list). In most other Polish cities there are at least coffee shops where you can work. The Polish specialty coffee culture is excellent, I don’t know why. So we can look forward to another European capital where you can get fantastic coffee and interesting coworking spaces. I’m really looking forward to Warsaw. What else is there to say? Super Early Bird tickets for Coworking Europe 2019 are available until 31 March. Cashless across Europe – at least until our return.